The ATC103, integrates four PMC/XMC/PrPMC sites onto a single Advanced Telecommunication Computing Architecture (AdvancedTCA) node carrier. 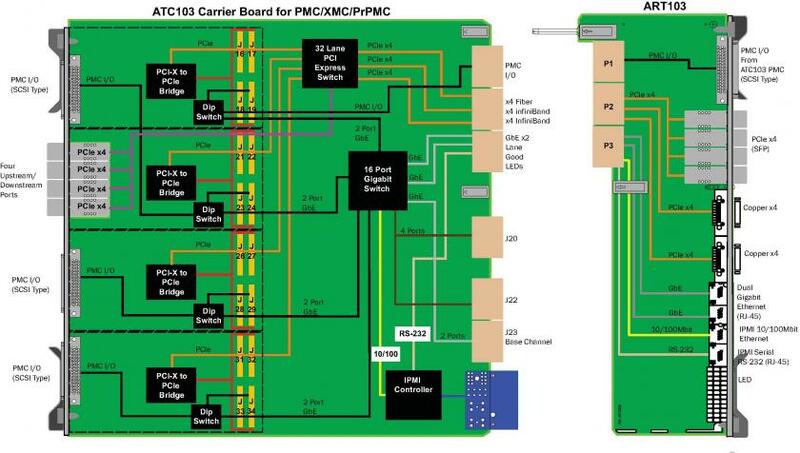 The ATC103 allows for integration of readily available PMC, XMC and PrPMC modules into the AdvancedTCA environment. The ATC103 provides four sites that can accept any PMC, XMC or PrPMC module. The ATC103 brings three of the PMC J4 I/Os to the front panel. One of PMC J4 I/Os is routed to Zone 3 of the ATC103. For PMC modules that route their GbE to their J4 connector, the ATC103 routes these connections directly to the onboard GbE switch. 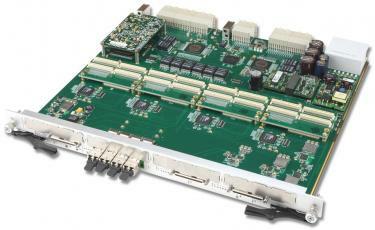 The module has a 32-lane PCIe switch divided into eight ports of x4 lanes each. 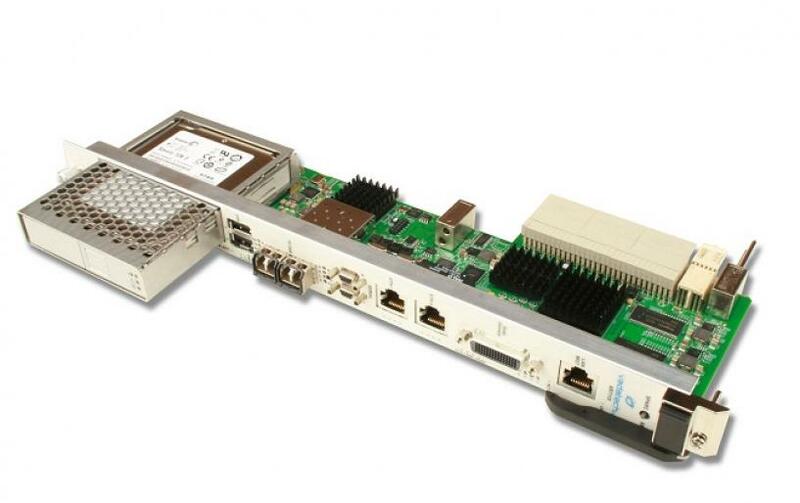 The ATC103 can be connected to additional ATC103, ATC104, ATC105, ATC106, ATC107, or ATC108 carrier boards or the AMC103 or PCI103 to increase the number of I/O slots via PCIe fiber or copper expansion interconnects. This PCIe expansion is available through the front or the rear. The ATC103 can be configured as a Shelf Manager or a Node board. As a Shelf Manger, the ATC103 eliminates the need for other shelf managers resulting in reduced total system cost. i.e. Sun Microsystems Netra Blade CP3260,CP3220, VadaTech ATC114, etc.